(Bloomberg) — South Africa’s rand extended its decline to the most in emerging markets after the nation’s disappointing economic data put the currency at a forefront of selloff on Thursday. 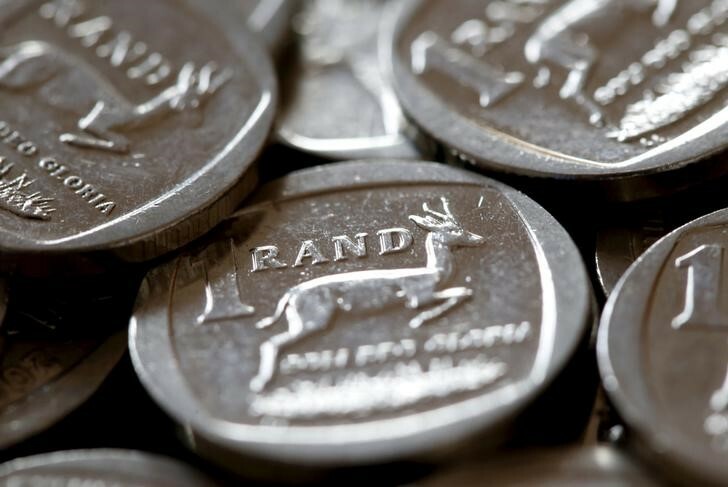 The rand tumbled as much as 2.1 percent to the weakest level since Dec. 15, days before Cyril Ramaphosa won the leadership of the African National Congress, putting him on course for the presidency. The currency’s decline worsened after the drop in Brazil’s real dampened sentiment toward risky assets, driving losses on a gauge that tracks emerging-market currencies to the most in more than a week. The declines come after a report this week showed that South Africa’s economy shrank the most in nine years in the first quarter, casting a pall over Ramaphosa’s promise to boost growth. His rise to power since December initially boosted sentiment and the rand following Zuma’s scandal-ridden tenure, but confidence indexes have now returned to levels they were at late last year as businesses seek real reforms. The central bank last month left its main policy rate unchanged, and hinted that further loosening was off the table as inflation pressures build. “It is clear that the economy is in a fragile state and it may take some time before we see any evidence of a Ramaphosa effect,” Natalie Rivett, a senior emerging-markets analyst at Infroma Global Markets in London. The rand retreated 1.8 percent as of 4:44 p.m. in Johannesburg to 12.9464 per dollar. The yield on government debt due 2026 climbed 15 basis points to 8.81 percent.